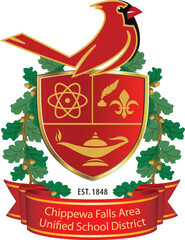 Welcome to the Chippewa Falls Area Unified School District! To enroll your child(ren) in our BB4C, 4-year old learning program, please contact one of our eight partner sites or visit our BB4C webpage for more information. If your student is in grade K-12, please click here to start the enrollment process. Please do not try to fill out these forms on mobile devices such as Smart Phones or Tablet PCs as the enrollment process may not complete properly. If needed, there is a computer available at the Central Office that can be used to complete the enrollment process. Please note that a birth certificate is required for verification purposes. Once your enrollment has been processed and approved, the school your child(ren) will attend will contact you to complete your registration. For parents of elementary school age children, your residential address determines which elementary school your child(ren) will attend. If you have questions regarding K-12 enrollment, please contact the District Registrar at the Central Office by calling 715-720-1850 or send an email to enrollment@chipfalls.org.